When you are travelling south towards New Zealand from the Pacific islands of Fiji and Tonga, most people will head for Opua. It is the northern booking in port for yachts in New Zealand, where Customs and Immigration are based and it is within the famous Bay of Islands, a gloriously sheltered area with a huge number of anchorages to hide in, no matter what the weather. The traditional route takes you past Minerva reef, one of the most desolate anchorages in the world and then S, potentially through an area of nasty seas to the shelter of NZ. Another route, used by Tika, is to go via Norfolk Island, newly administrated by Australia with a population of 60. It isn’t a popular route as it adds on a couple of days sailing and takes you in to Australian territories but it does have the huge advantage of allowing you to go around the main weather patterns, giving you a beam reach at worst back into NZ waters. 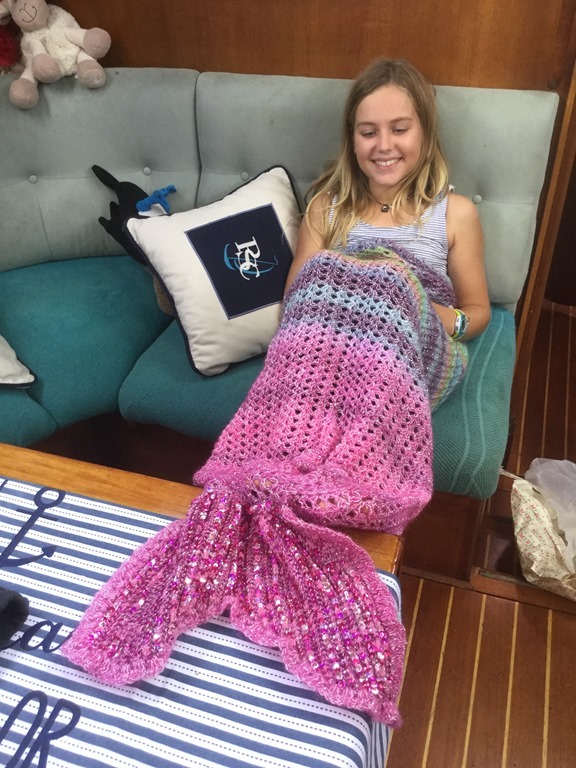 We had been monitoring the transits of Jade, Starcharger, Quatsino II, ZigZag and Tika as they made their way down past the Minerva reef and wanted to meet them at Opua where there was a small festival for the arriving fleet. 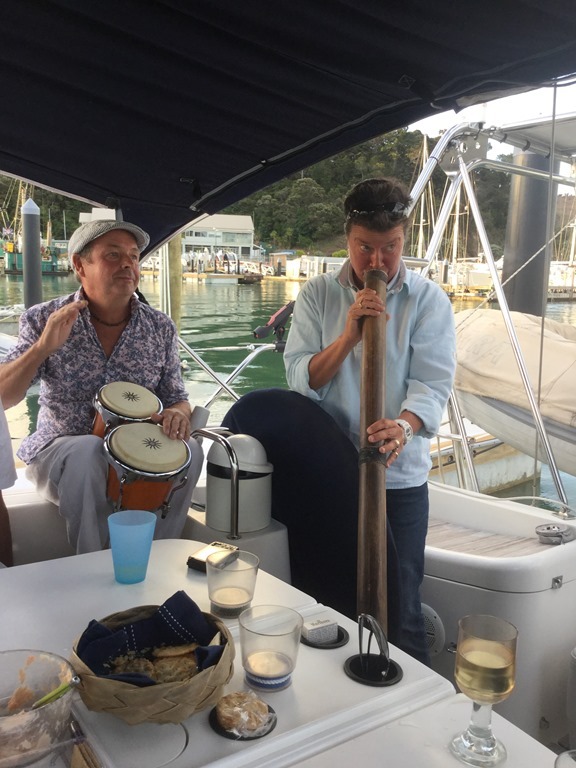 There was also a calling notice out for the Ocean Cruising Club, who were organising an arrival party at Nina Kiff’s house, the local Port Officer. The drive up took about three and a half hours, through stretches of beautiful countryside. You got the impression that the land around the road had been tamed but the hills overlooking the road were wild and covered with thick vegetation. And so green. As soon as you are way from Auckland the roads become single lane A roads with the occasional overtaking lane on steep hills. The speed limits are closely adhered to and we have heard that this trend is reinforced by a zero tolerance Police attitude and numerous unidentified van and cars with speed cameras ready to snap the unwary. Saying that, with the state of our van, keeping below the speed limit is not a problem. The roads are steep and full of bends. I am finding that I am keeping our lumbering heap well below the limit to be safe. She doesn’t corner well with the weight we have on board. We arrived at Opua and immediately ran into Irene and Georg off ZigZag, newly arrived and looking very tired. The sail down had been reasonable but windy towards the end and for the first time in a long time, there had been a head wind and sea for periods of the trip. They soon decided to fire off to bed. 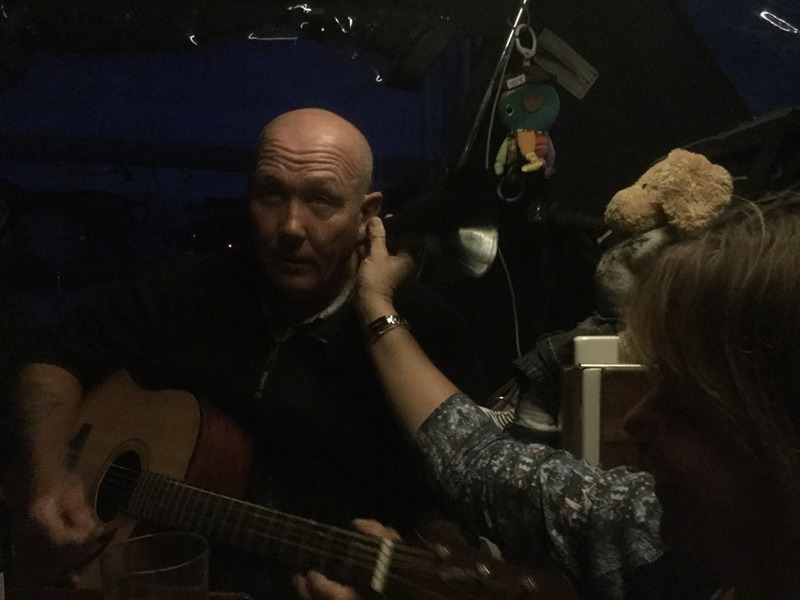 We had been invited to stay with Gill and Alasdair on Starcharger with the kids to sleep next door with Lorna and George on Quatsino II. Typically the kids saw small friends for the first time in months, screamed with joy and just disappeared. We headed up to the OCC gathering at Nina’s house. It was great to meet some truly dedicated sailors and were privileged to be at the prize giving of the 2015 Rose Award a prize presented for the most audacious short handed voyage of the year. Suzanne and Comrey of Whateke travelled 1200 miles upwind on the Patagonian coast, starting at the Beagle Channel, a trip which proves them to be as hard as nails and a bit nuts! It was great to meet them and hear their story. Amazing. Lou also met a wonderful lady called Rose. 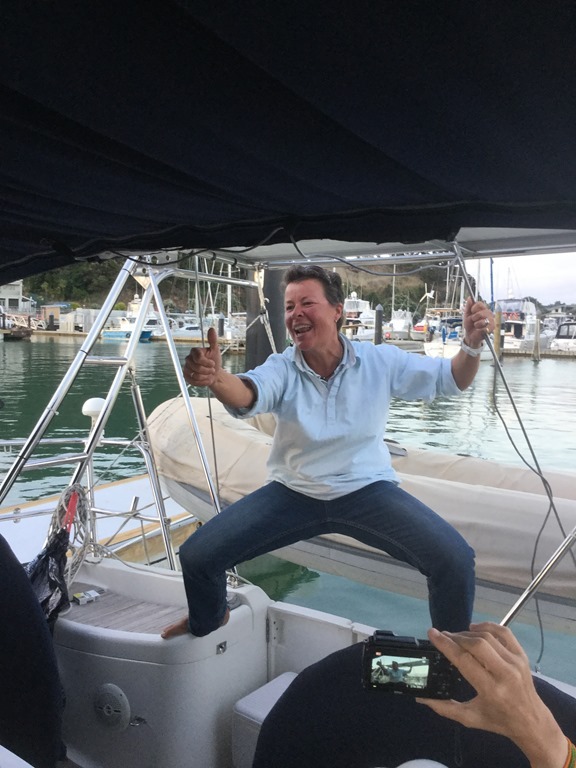 Lou is hopeful that when she is in her eighties and still sailing, she is as positive, bouncy and fun loving. I’m not sure how many times sailing round the world this group represents but I suspect that it is more than you can count on a set of hands. Inspirational. For the next few days, we enjoyed the marvellous hospitality of Starcharger, Quatsino and a variety of guests. One could suggest that we partied a little hard but it was great fun. 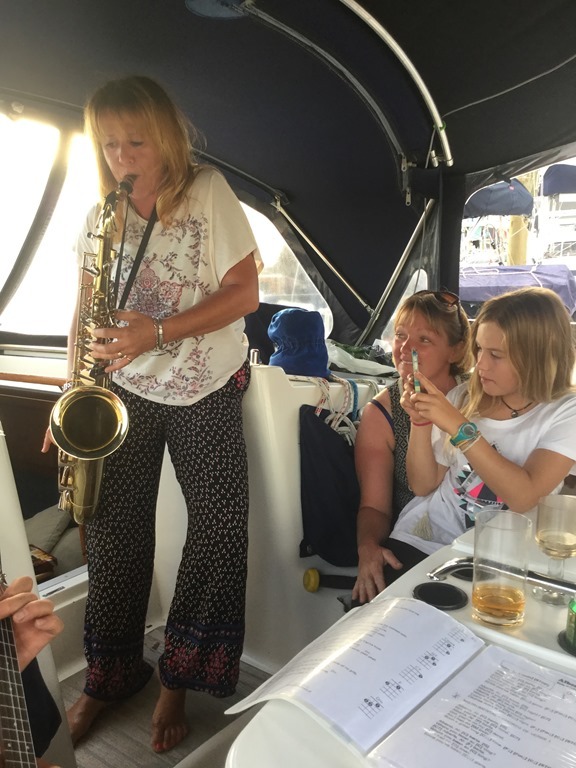 We learnt that Gill plays the sax well, Paul can be understood when he sings (magnificently, by the way) and Lorna should not be left in charge of a didgeridoo. We had fun and the kids had a great time catching up with the Jade and Tika kids and meeting new ones from Enough and Carpe Dium, names we had heard on the net but never met. They joined in with the local sailing club. $3 a head for 3hours sailing on the club Optis, Splash or 420s. The kids loved it and of course got pretty wet. The difference is the water temperature here meant they came out blue! 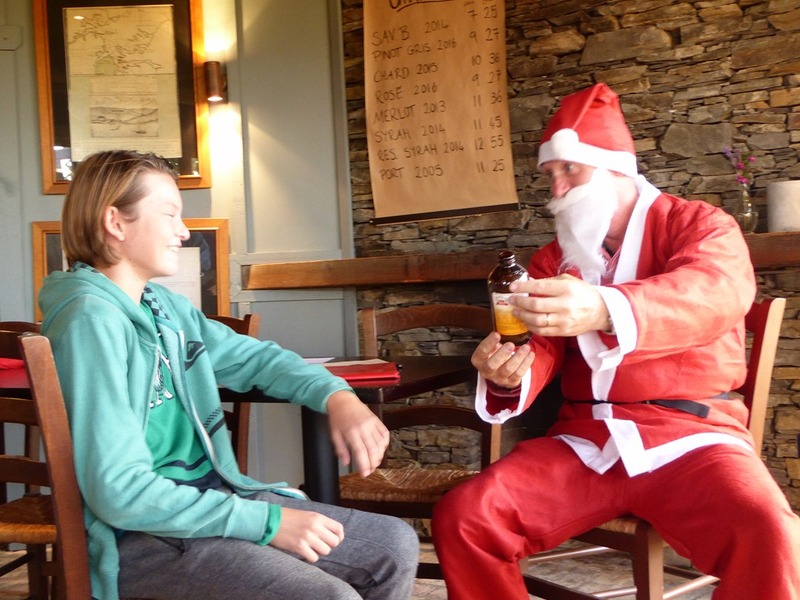 With the crews of Invictus, Mobi, ZigZag, and two French boats, all with small children, we visited the Otama Vineyard for some wine tasting and to meet St Nickolas. Very much a Germanic tradition, St Nickolas appears on 6th December. He appeared a little early but the kids loved the small goody bags he dropped in to give them. 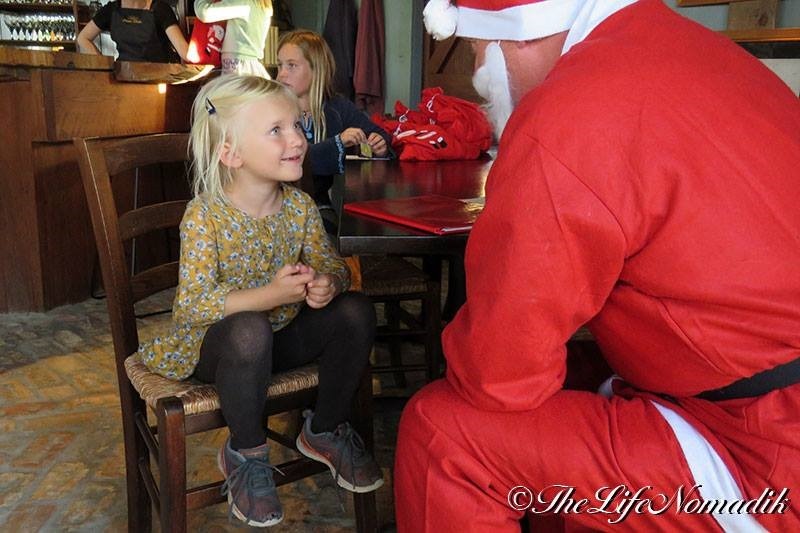 I understand St Nickolas enjoyed the visit too……. We must say we have been lucky in meeting people. 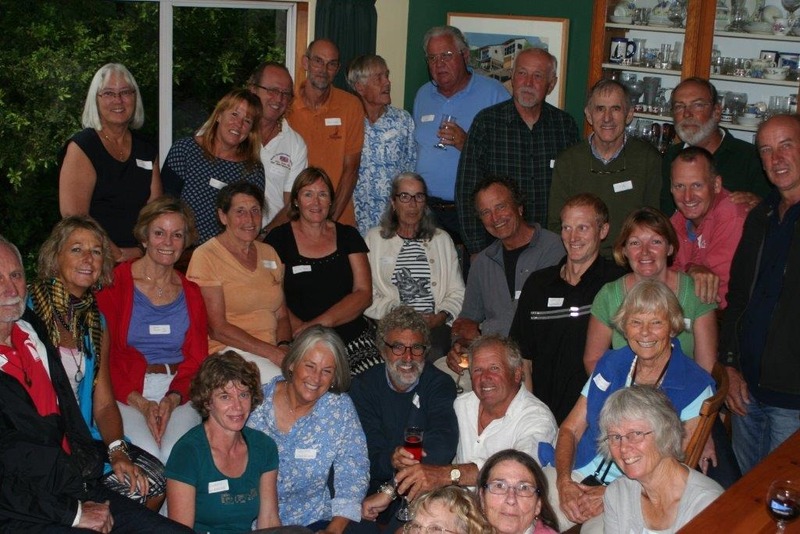 Malcolm and Helen Shaft are OCC members of long standing who settled in NZ after many years sailing. At the OCC party, Malcolm offered us a small flat that had been used by his mother who recently passed on. He followed this up with an email a couple of days later to remind us of the offer and to say it hadn’t been the drink talking. With Starcharger planning to move South a week later, we decided to lighten their burden (and to save our livers) by taking Malcolm up on his offer. However, before we left we had some more cracking nights, taking it in turns around Quatsino II, Starcharger and ZigZag. 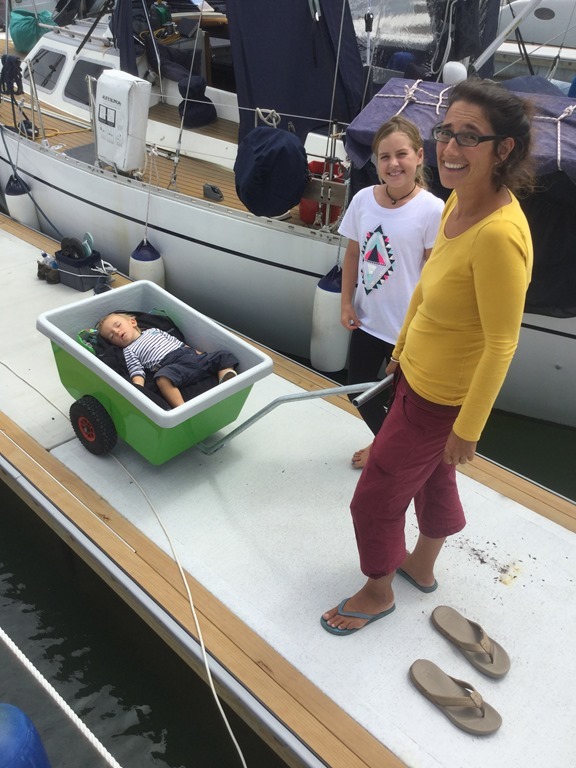 The kids had a variety of sleepovers but had almost as much fun on Quatsino. I think George found it novel having smalls on board, happy to come in in the morning for a chat (one way traffic at a million miles an hour in Eleanor’s case). Certainly, I found him looking a bit stunned after one of these sessions! The daytime activities were varied too. 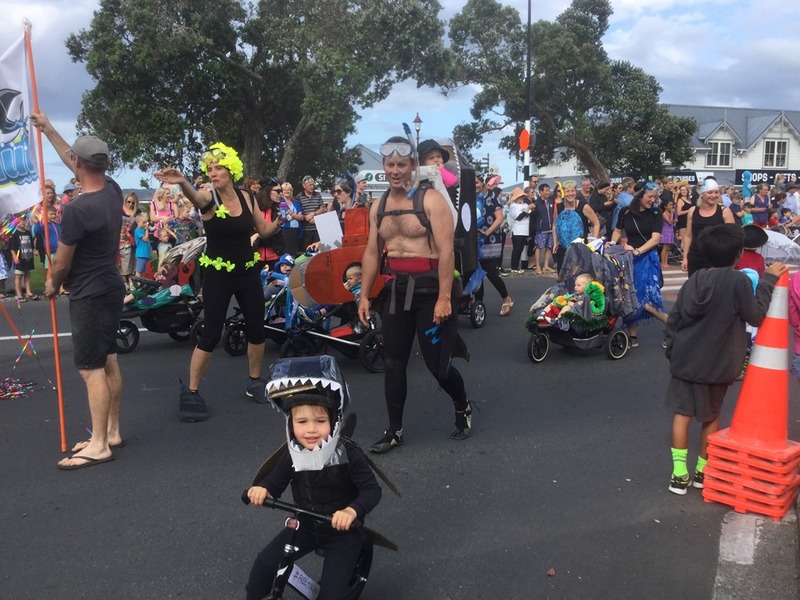 We had a great time at the Paihia Xmas parade. Lots of fun, some great costumes and the smalls got lots of sweeties. The free ice-cream at the “Taste of Switzerland” on its opening was good too. 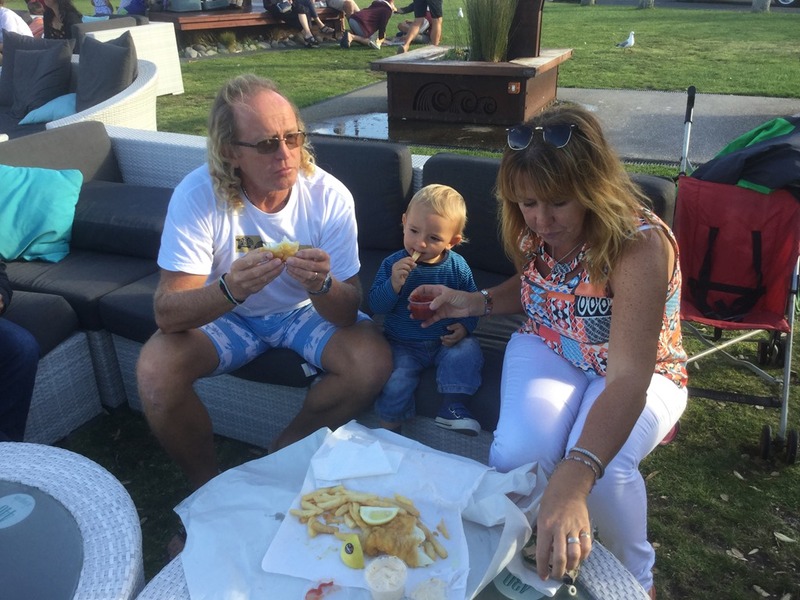 I’m not sure how long it will last in the partisan setting of NZ considering the shop opposite is selling NZ’s best ice cream at half the price….. And of course we had to try the fish and chips. Noah bullied his way in to being fed by Gill and Alasdair. Note the fact that the tomato sauce is being held for him. He intonated that this was to happen very loudly. 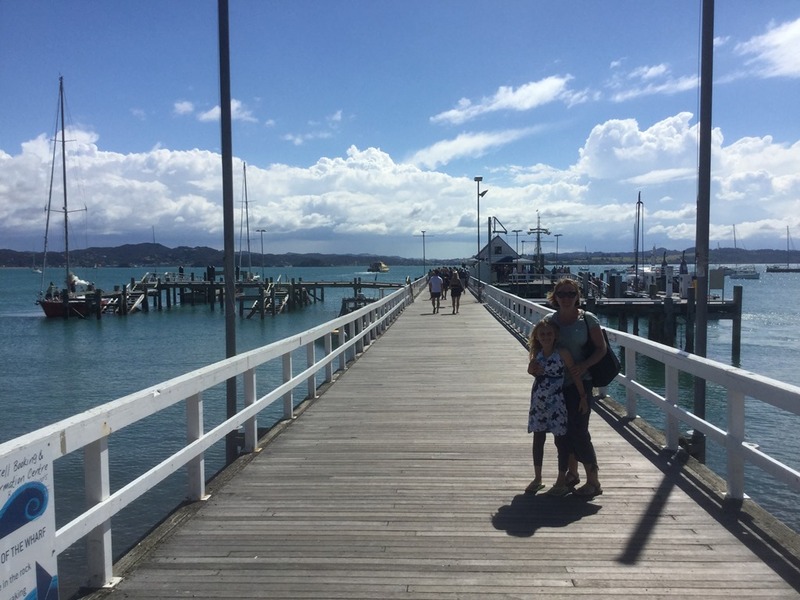 A short ferry ride away from Paihia is Russell, the original capital of NZ. 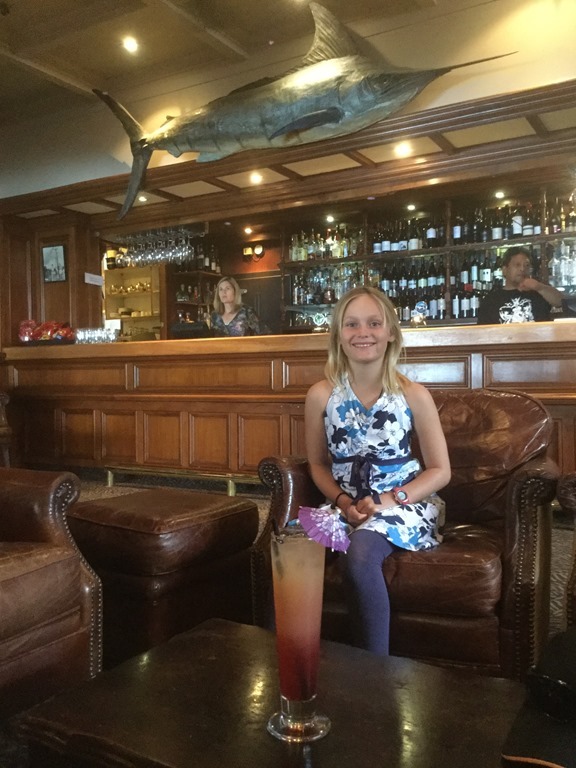 Known as the Hellhole of the Pacific in the early 19C, a den of iniquity and houses of ill repute abound, it has transitioned into a quaint tourist town of shore side tearooms and shops selling tourist trinkets. The oldest pub in NZ, The Duke of Marlborough it still alive, well and serving excellent beverages. The pier, rebuilt and extended these days is a magnificent structure. Our sincere thanks to Alasdair, Gill, Lorna and George for giving us berths for the time we stayed with them. It was hugely appreciated and great fun! We moved up to Malcolm and Helen’s house and unpacked the car into the Granny flat and garage. Hot water, a double bed and a TV! What more could we want! Cool-I-o! great to get this news, courtesy of a note from Trish. Happy (very belated!) Hogmanay to you too! Hope you are both well and looking forward to some travel this year. We will be sailing between French Polynesia and Australia if you are missing being a salty seadog!